I know I’m more open to life when spring reaches out and I’m guessing you are too. Spring is a great time to make those diet changes you may have been thinking about for a while. Like perhaps you want to eat leaner and lighter and need to pick a specific approach. Or you’re curious about the paleolithic diet buzz but haven’t had the time to get into it. My three-part series will lay out what you need to know about some of the more popular diets so you can explore those that appeal to you. Let’s start with the more familiar ones: The Vegetarian Diet, The Vegan Diet and The Raw Food Diet. Pros: A major advantage of being vegetarian is that it is mainstream in many parts of the world and is cheaper than being a meat-eater, especially when dining out. 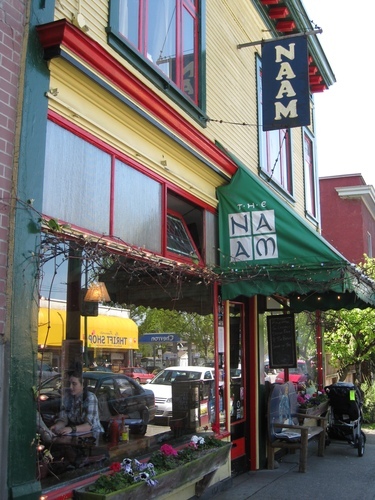 Well-known budget (non-organic) places in Vancouver include: The Naam, Bandidas Taqueria and Café Deux Soleils. Vegetarians also tend to eat fewer calories, weigh less and have a lower body mass index than their meat-eating counterparts, so long as you’re doing it right – eating lots of fruits, veggies and whole grains. Cons: Eating a variety of foods is important to maintain good health. You may need to educate yourself more about a balanced diet and get creative with your menu. Local resource: Veg Coast is an excellent Vancouver vegan food and culture guide that is also helpful for vegetarians. Research sources: What’s a Vegetarian? 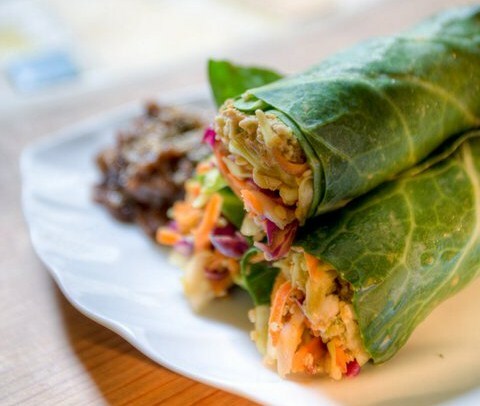 Veganism in Vancouver is becoming the new way to be for health, ethical and environmental benefits. The vegan (say vee-gun) diet is completely free of animal products like meat, fish, poultry, dairy and eggs. By definition, vegans also don’t consume honey or use leather, fur, silk, wool, cosmetics and soaps derived from animal products. Diet staples are fruits, vegetables, leafy greens, whole grains, nuts, seeds and legumes. It might sound boring but specialty shops like Karmavore have awesome vegan products and up scale restaurants like The Acorn are beyond creative with the cuisine. Pros: Low in footprint, rich in high fibre foods and the good fats, vegan food is filling. It could also help with weight loss and fend off chronic diseases. Cons: The vegan lifestyle is not yet mainstream and can be restrictive depending on where you live. It is a lot of work because most of your food has to be fresh and of a variety that meets all your nutrition requirements. Local resource: Veg Coast is an excellent Vancouver vegan food and culture guide. I would never dream of choosing a primarily (70%) raw food diet, but it is probably one of the more powerful and life enhancing options if your body can handle it. According to raw foodists, the most healthy food for the body is uncooked. Cooking destroys the naturally present enzymes in our food which help us to digest food and absorb nutrients. If we over consume cooked food, our bodies are forced to work harder to produce more enzymes, which may eventually lead to digestive problems, nutrient deficiency and accelerated aging. Raw foodists are often vegan and they live on juices, blended and dehydrated foods, salads, whole grains and sprouted beans, legumes, nuts and seeds. Since food is not heated above 118F, a dehydrator is essential for drying foods like crackers, granolas and kale chips at low temperatures. Curious? 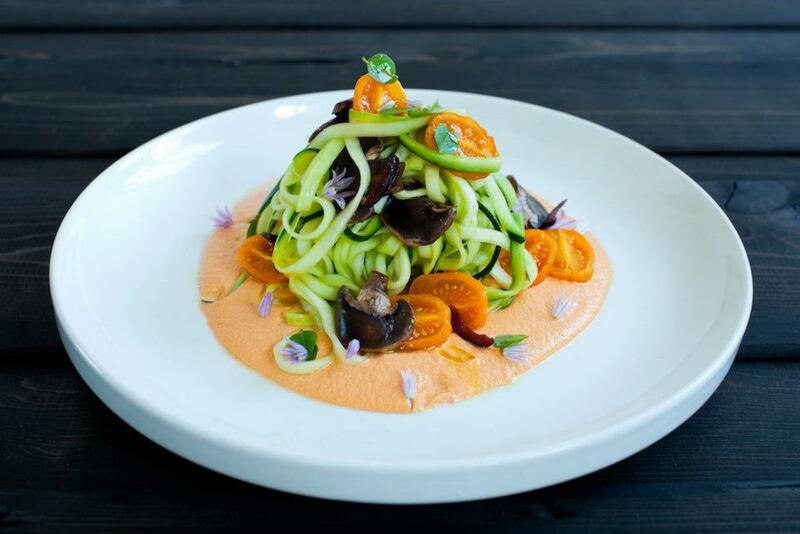 Try a raw meal at Cafe by Tao in North Vancouver. Or have Gorilla Food’s unforgettable raw, Lemon Avocado Pie. Pros: Health benefits include increased energy, clearer skin, weight loss and reduced risk of disease. The raw food diet is also said to have a favourable acid-alkaline balance, being low in acid-forming food. Too much acidity in the body is thought to result in disease. Cons: The raw food diet may not be appropriate for people living in colder climates or for people with certain constitutional types. Raw foodists must eat a variety of foods and may need to take supplements to avoid nutritional deficiences in Vitamin B12, iron, zinc and omega 3 fatty acids. Research source: Raw Food Diet: What Should I Know About It? In Part 2 next week, we’ll look at: The Flexitarian Diet, The Macrobiotic Diet, The Anti-Inflammatory Diet and The Paleo Diet. By the end of Part 3, The Gluten Free Diet finale, you will be on top of the latest food trends and more empowered to experiment with them. As always, I want to know what you think about the series and any diet types you favour…write in.